Camping with kids can be an adventure in itself, but it doesn’t need to empty your pocketbook. Plan ahead; be prepared before you camp. If you are unsure how the kids will react to sleeping, eating and basically living outdoors for a few days, try a practice run at home in your backyard! Packing: What are you camping in? Do you have your own trailer? Are you using a tent or renting a cabin? Only pack what is needed, leave the “just-in-case” stuff home. You should; however, pack for any type of weather. While it may be hot during the days, it may be cooler at nights and a heavier sleeping blanket or jacket may be needed. Bring your rain ponchos and don’t forget your toiletries! Always make sure you have a flashlight and extra batteries. Scissors always come in handy, so you may want to pack them as well. Meals: Prepared meals ahead are always a time & money saver when you are enjoying the outdoors with your family. Make crock-pot meals that can be heated in a pot later over your campfire. Hot dogs are a quick lunch the kids can have fun roasting over the fire themselves! 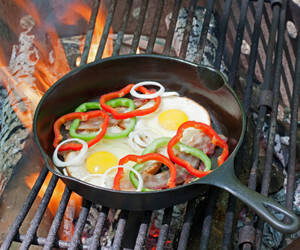 Breakfast can be made over the fire in a cast iron skillet. Bacon never smelled so good in the morning! Don’t forget to take your marshmallows, grahams & chocolate bars for a smores’ treat! Location: Find the right place for your family. Is the camping facility kid/family friendly? Do your research. Many camping grounds offer daily activities for kids like Holly Shores Camping Resort. Holly Shores offers daily activities in the summer that range from ceramics & crafts, to a wet and wild hayride! Holly Shores Camping Resort is a family-friendly camping resort that offers many amenities for your family’s enjoyment. 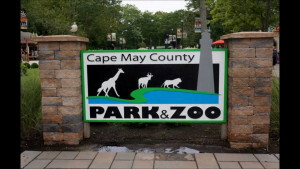 From their heat pool & kiddie pool, hot tub spas, playgrounds, game room to the nature trails behind the park, they are is plenty for your family to do. Even your furry family members can enjoy their dog park! 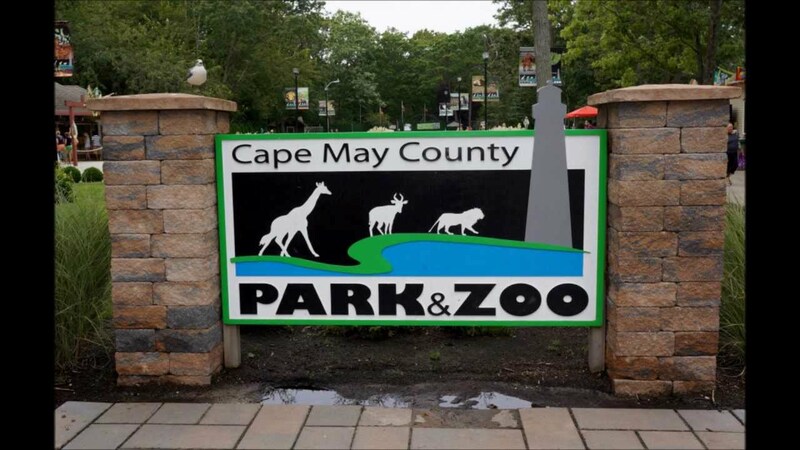 Cape May County Park & Zoo: located in Cape May Court House is a nationally acclaimed zoo, it is one of the top 10 zoos in the nation. Guess what? It’s free! The zoo is a perfect place to spend the day with your family! There are also several large playground areas for the kids to enjoy. Don’t forget to pack your lunch and take advantage of the picnic areas! 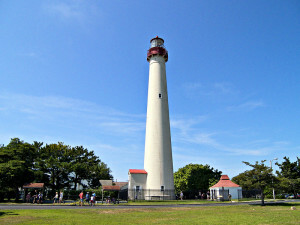 Cape May Lighthouse & Nature Trails: There is a small fee for the lighthouse tour. This climb can be difficult for little kids so you may want to give some thought before you buy a ticket. If you are sure your kids can make the 199 spiral staircase hike, it is quite the sight to see once you reach the top as you hear the roar of the ocean behind you. 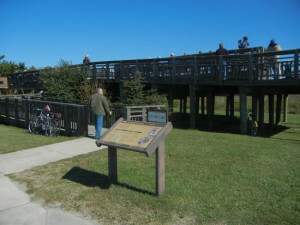 There a several nature trails you may walk at the lighthouse state park. Again, pack your lunch and use the picnic pavilions! You will see beautiful wildlife at the lighthouse state park. The Cape May State Park is a natural bird migratory area. Monarch butterflies also migrate here in September. Being in the state park puts you the closest you can be to fresh water and salt water at the same time. 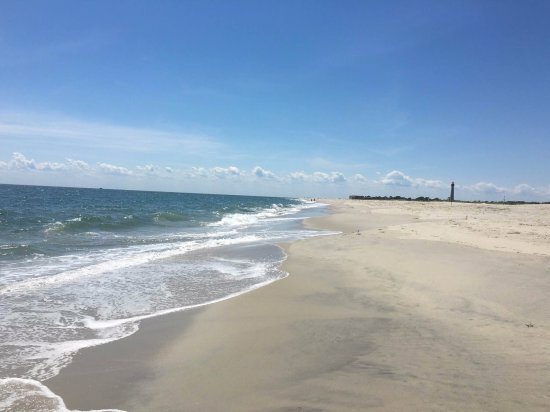 Beaches: There are beaches all around here in Cape May County. Some beaches require beach tags but others are free. If your children are small and you are leery of the ocean, you may enjoy the quieter, calmer beaches on the bay side. Don’t forget the sand toys, towels, sun block, water bottles and pack your lunch in a cooler of ice! Play: Allow your kids time to explore on their own. They see things differently then adults do and a silly rock to us may be a medallion to them! Be enthusiastic and encourage them to be adventurous! 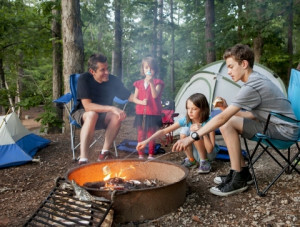 The most important thing for you to do while camping with your kids is to have fun! Whether it’s scavenging for kindling for the nightly camp fire to trucking off to the bath house, explore, learn and enjoy watching the experience your child is embracing!